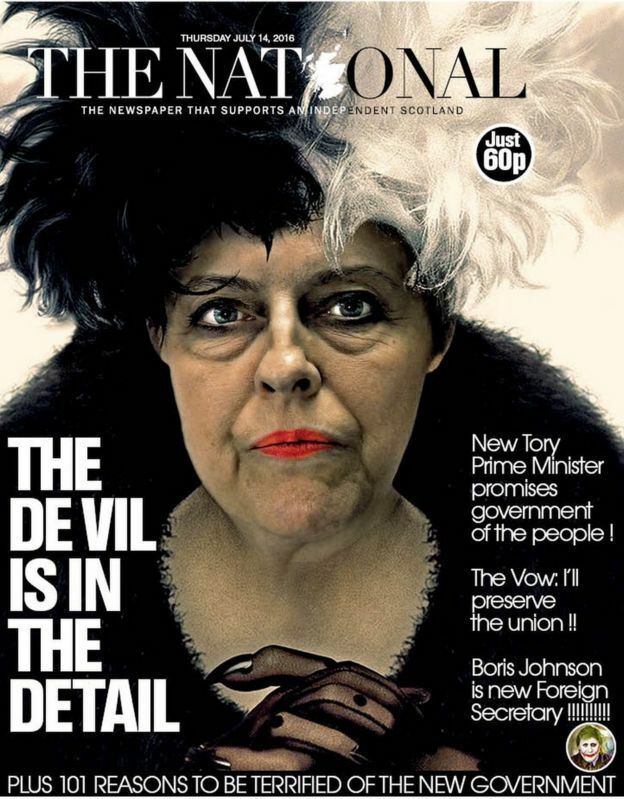 Let’s play a game: which Disney Villain is Theresa May? …but despite her recently revealed support of fox hunting, I don’t think that’s quite right. 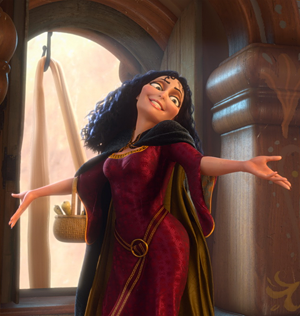 Yes, Mother Gothel, the villain of Tangled. She has no magic powers, no army of giant playing cards, no wealth or resources, no real way to compel anyone to do her bidding, except for one. She keeps Rapunzel in a tower for 18-years without a single lock by convincing her of two simple things: 1) it’s not safe outside and 2) she’s not strong enough to handle it. There are ruffians and thieves out there and “clumsy”, “immature”, “naive” and “chubby(! )” Rapunzel wouldn’t stand a chance alone. The threat of danger itself is not enough. A constant diet of criticism and self-doubt are required to keep Rapunzel in line, otherwise she might get the idea that she’s a strong independent princess who can actually do stuff without her controlling fake mother. 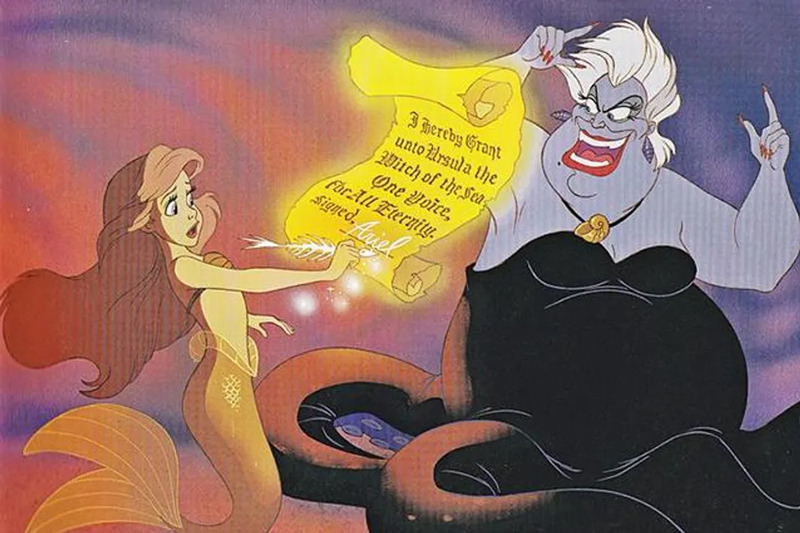 Gothel, and Theresa May, present themselves as the symbol of safety and security, despite not ultimately having the interests of their ‘charges’ at heart beyond what they can get out of them. “Mother knows best”, “Mother will protect you”, “On your own you won’t survive”. Critically, the key to May’s power is that we believe her when she says the country won’t be strong enough to survive Brexit. We have to buy into the self doubt and the fear and let ourselves, our public services and our communities be abused in the interests of ‘stability’. If we don’t believe it, she has nothing. When Theresa May dismisses Jeremy Corbin as not credible, ineffective (“ditsy and a bit, well, vague”), scares us with threats of a ‘coalition of chaos’ and a weak Brexit negotiating hand, she’s playing Gothel to a tee. The truth is we don’t really know what he would be like as a PM. I for one am willing to give him a chance but if you’re not it’s ok. Vote Lib Dem (maybe they’ll pull off reversing this Brexit lark somehow), or vote Green (they always seem nice), or even vote Tory if you honestly believe in their policies. But don’t vote for May just because your scared of the alternatives. You don’t know what’s outside until you go and look, and you don’t know for sure that you’re strong enough until you try. We are stronger than Theresa May wants us to believe and she’ll do anything to keep us realising that we don’t need her or her party. There’s nothing keeping us in the tower except ourselves.